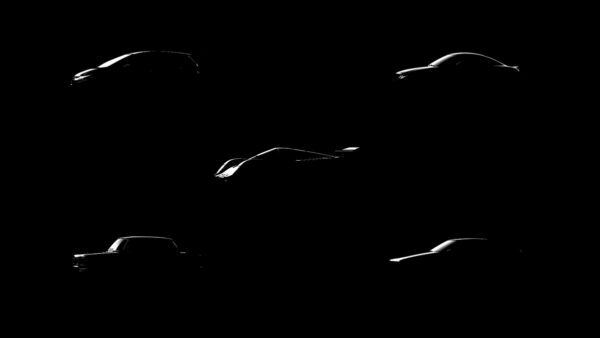 The Frankfurt Motor Show hasn’t even opened its doors to the public yet, but already we have details on both the Vision GT cars to be unveiled there. 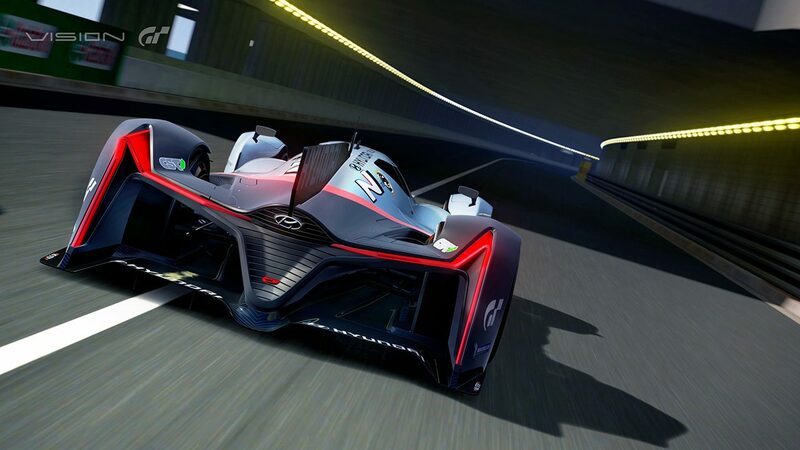 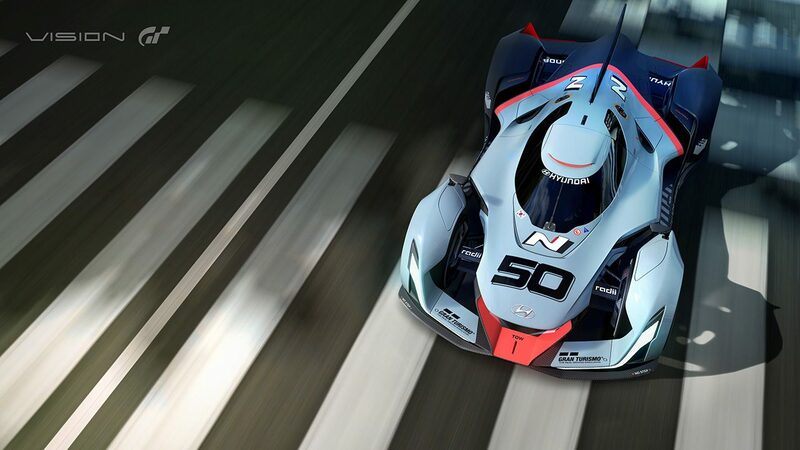 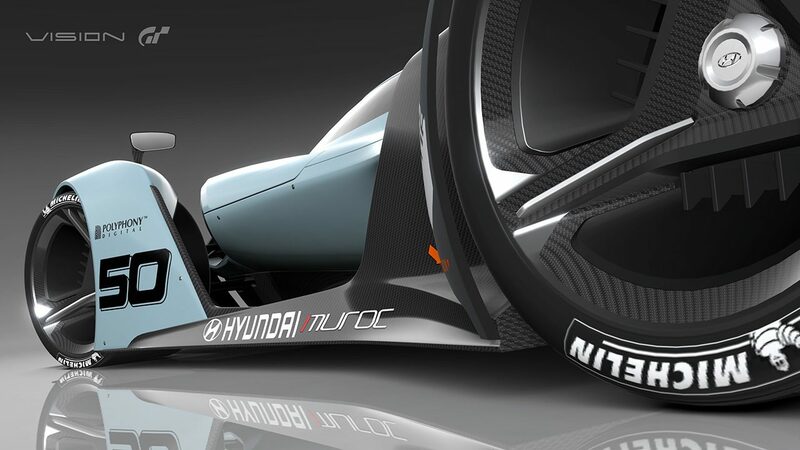 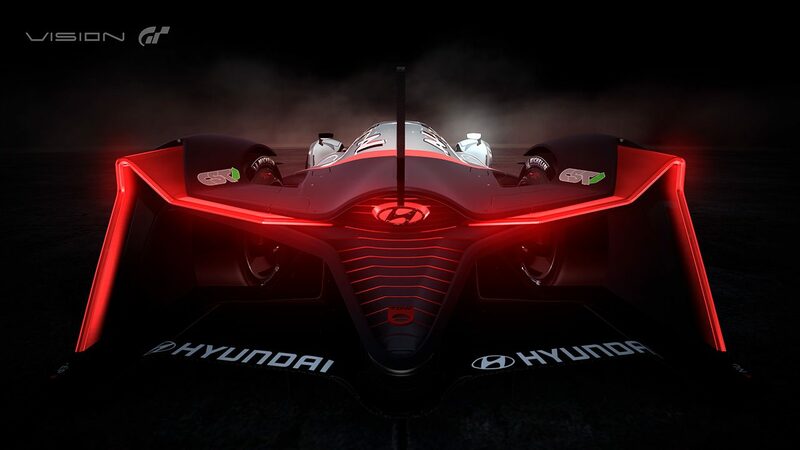 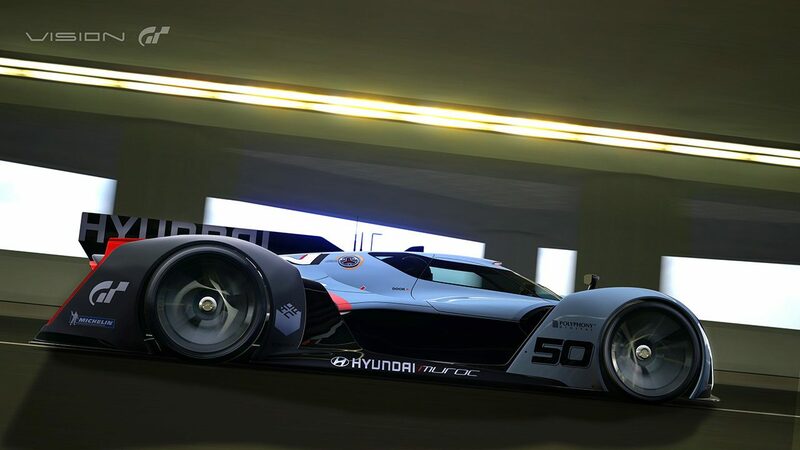 After yesterday’s pretty impressive image overdose from Bugatti, today we have an extraordinary slew of images from Hyundai of its N2025 concept car. 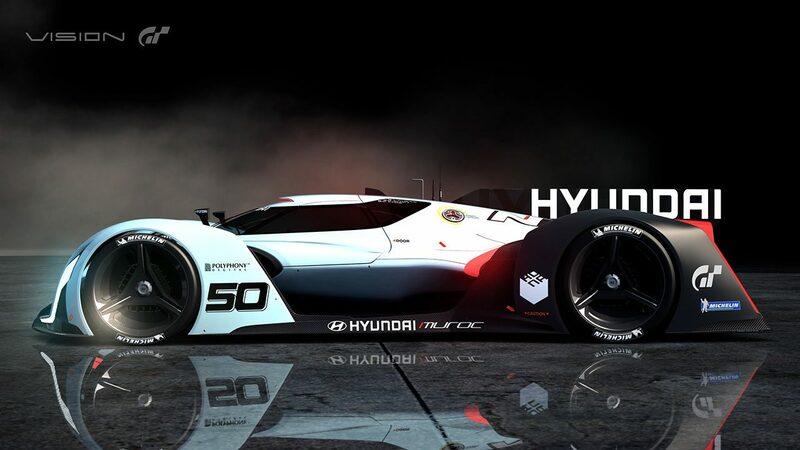 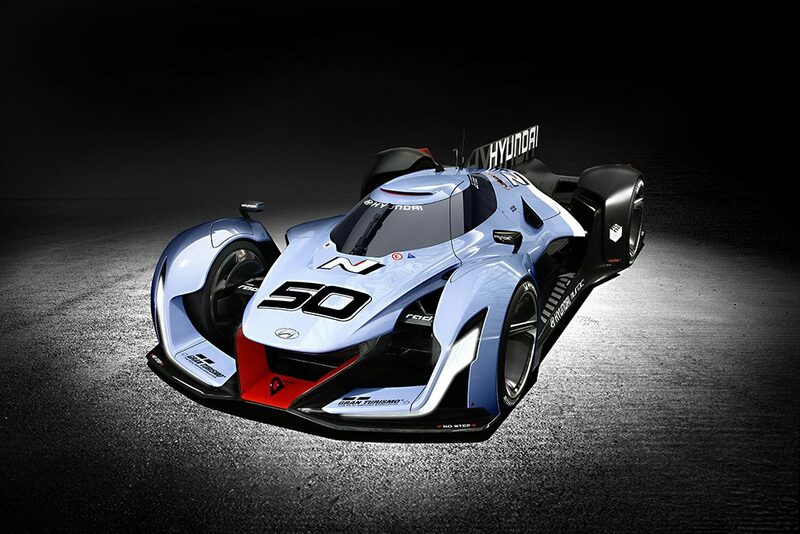 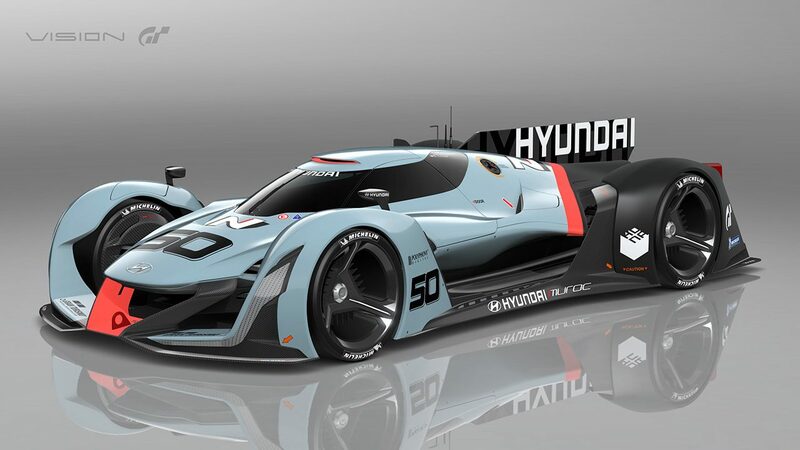 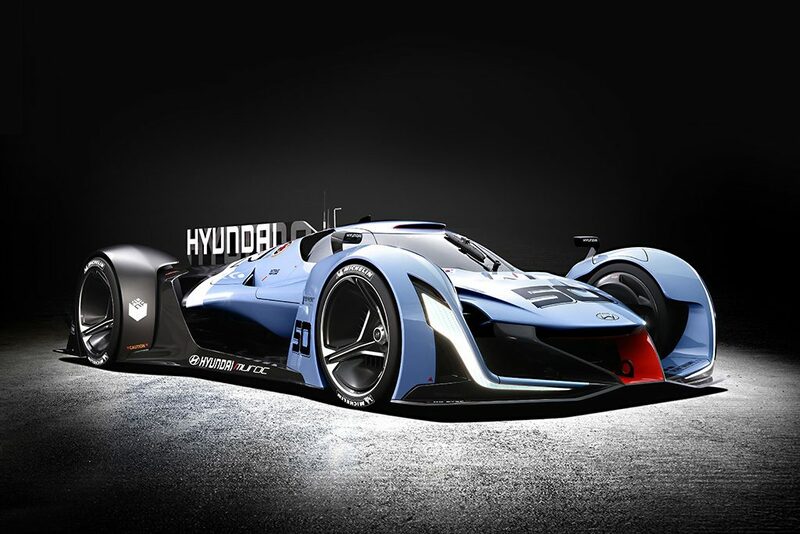 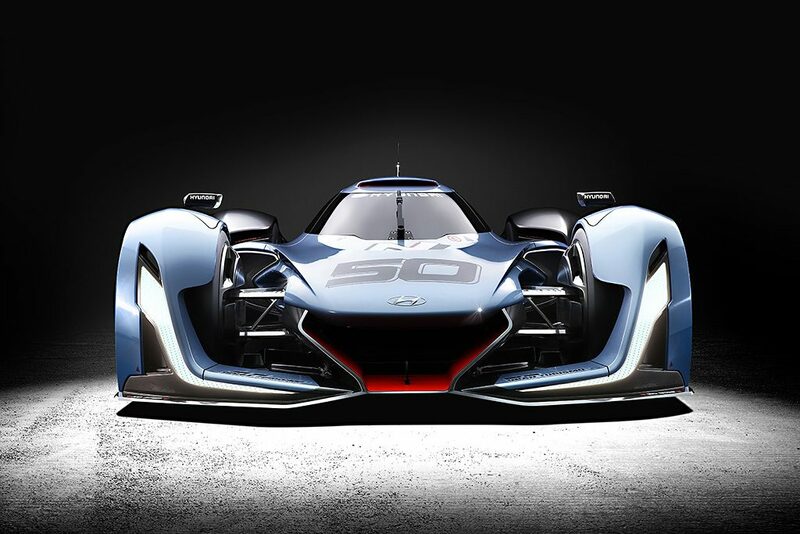 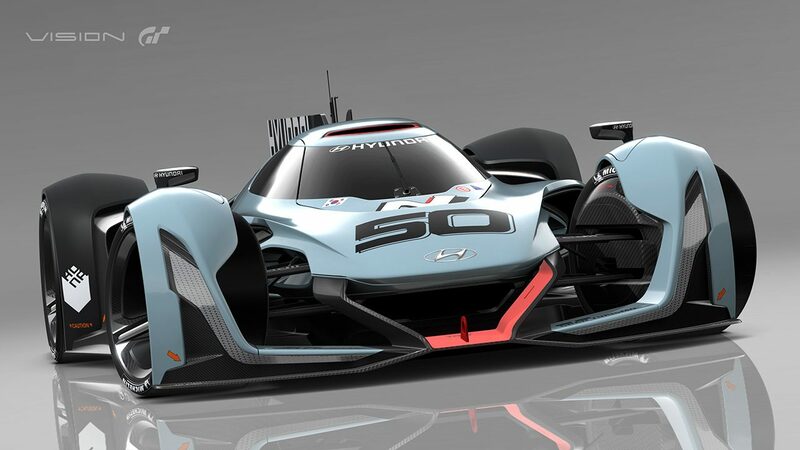 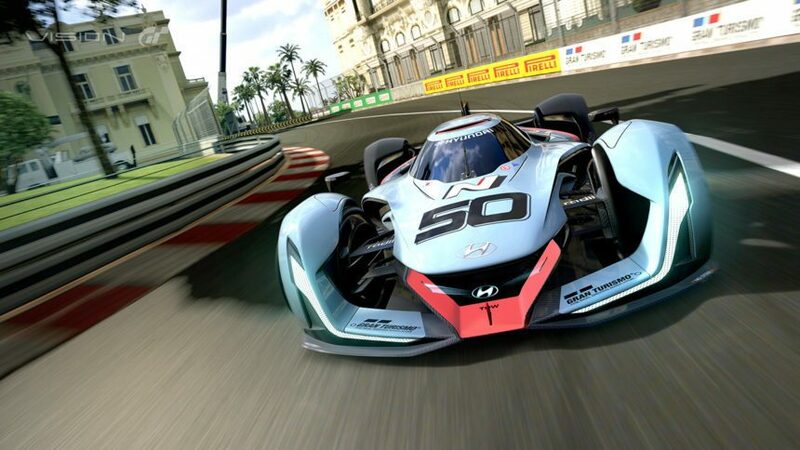 We’ve not seen Hyundai’s full-sized model yet, however there’s plenty of technical details about the decade-hence racer available. 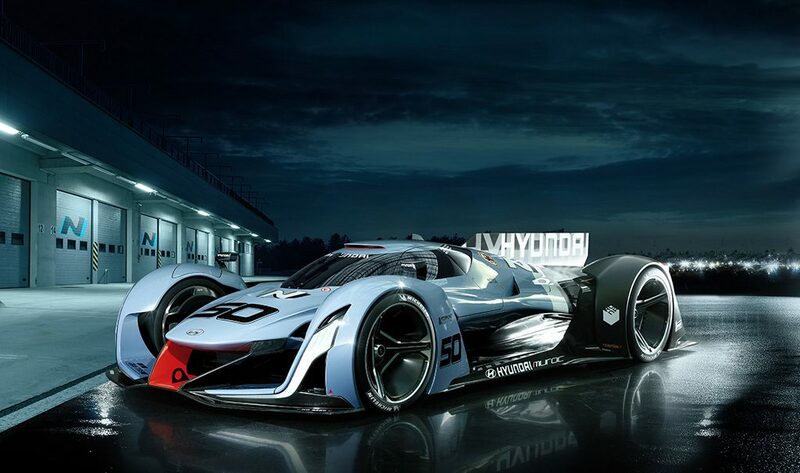 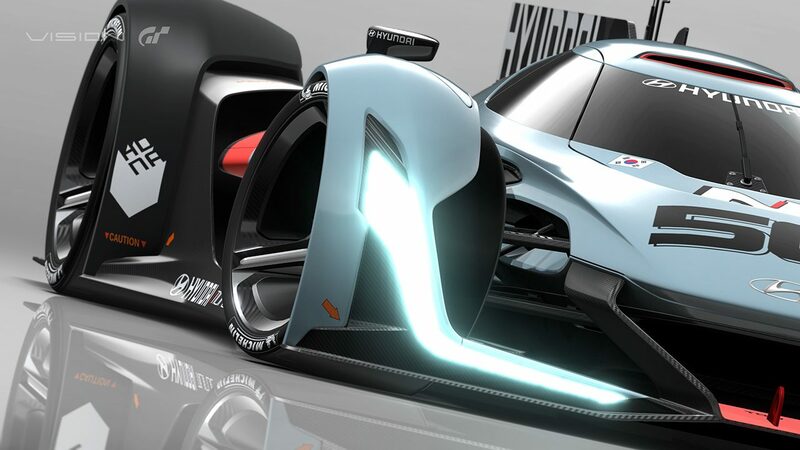 The car will be powered by a hydrogen fuel cell system, with dual cells providing 670hp. 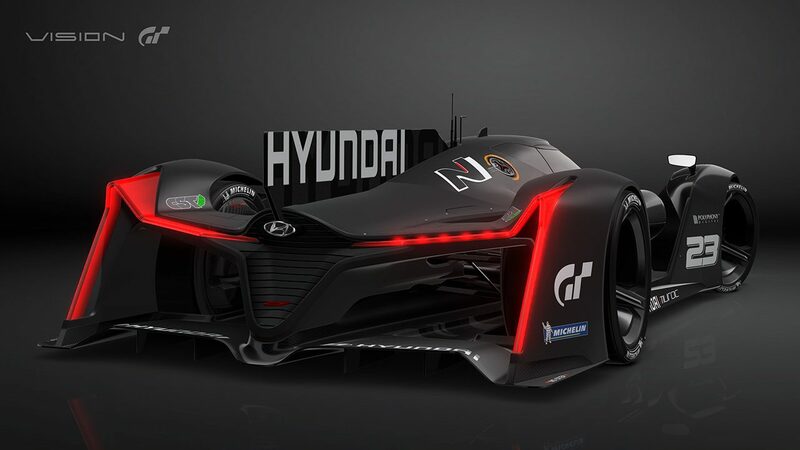 This is backed up by a 201hp super capacitor system which is charged by kinetic energy and heat scavenging under braking. 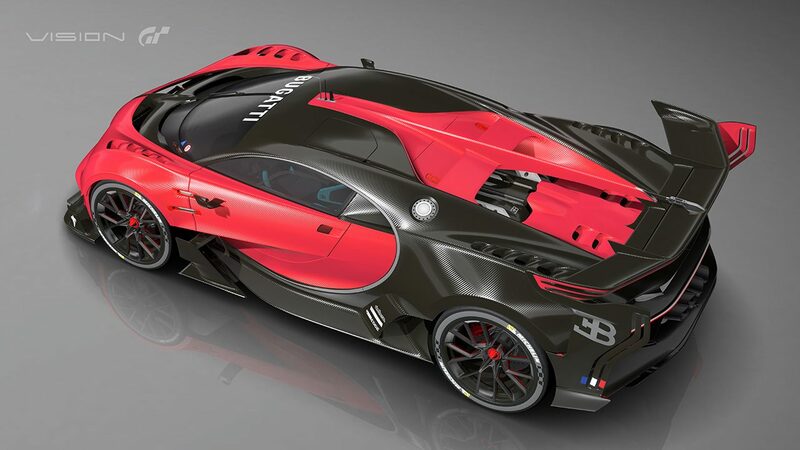 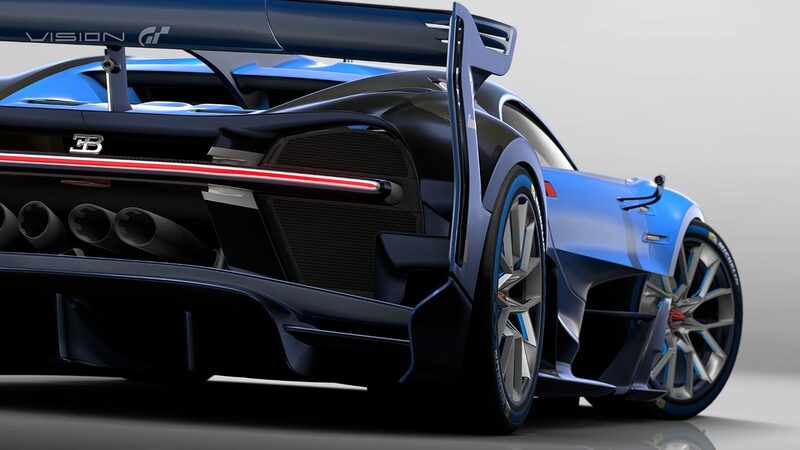 This 871hp total system output drives all four wheels – as is the norm for VGT cars – via independent in-wheel motors. 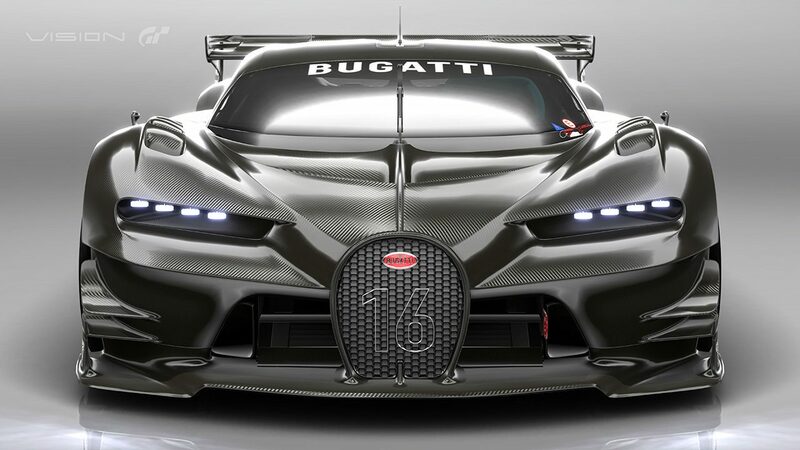 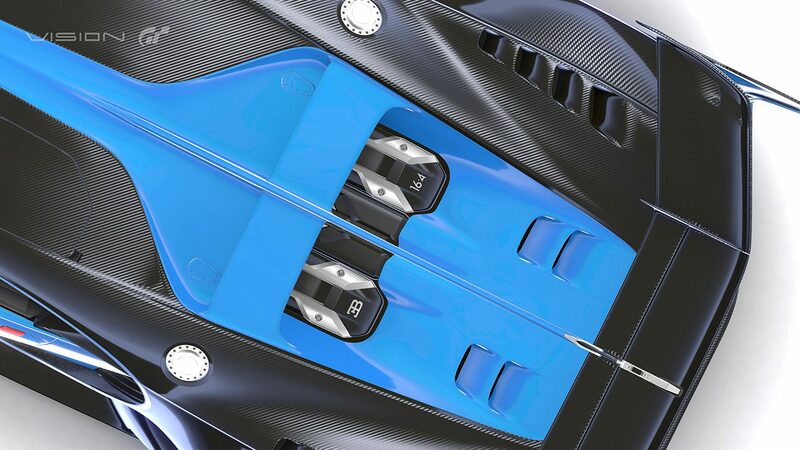 Total weight is kept down to 972kg through extensive use of carbon-fibre reinforced plastics, which gives a power-to-weight ratio of nearly 900hp/tonne. 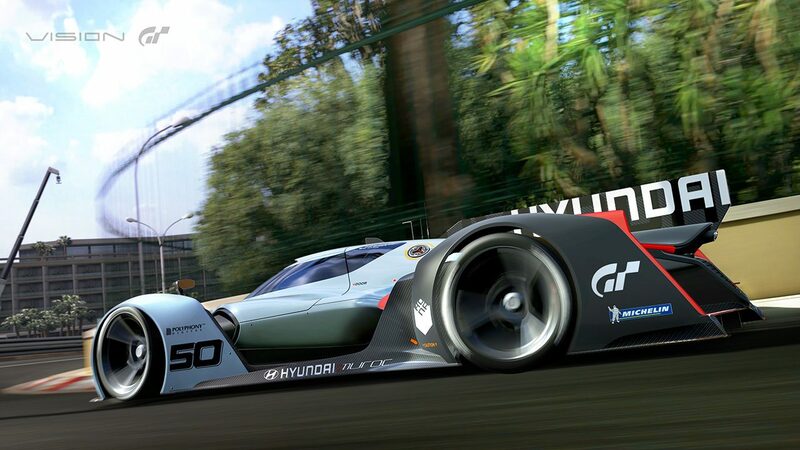 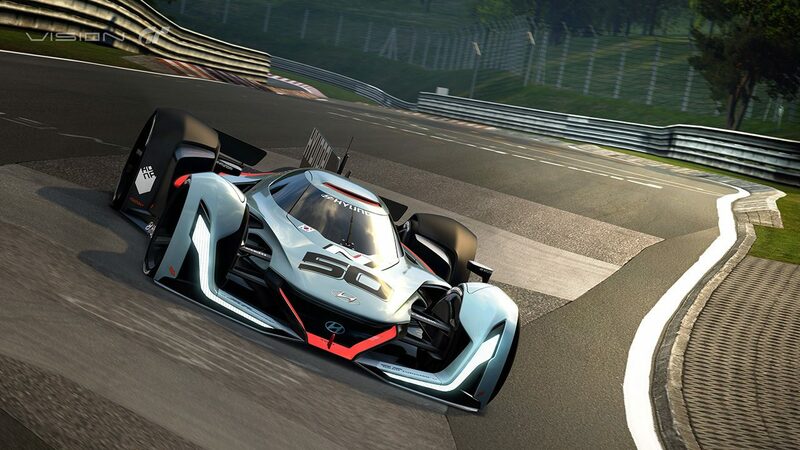 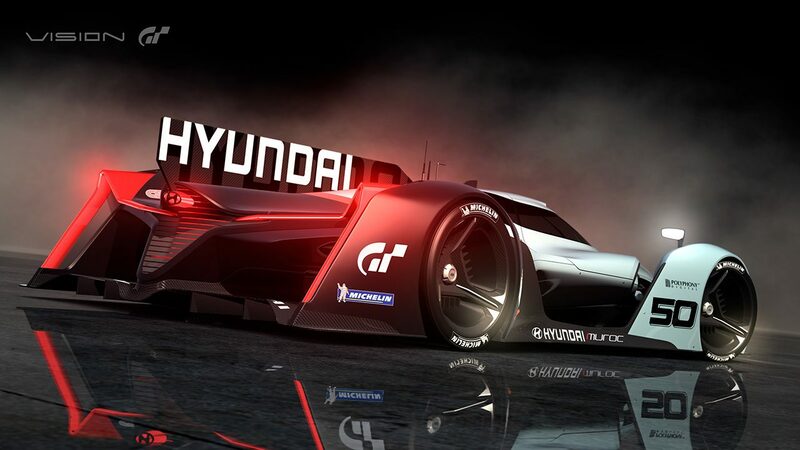 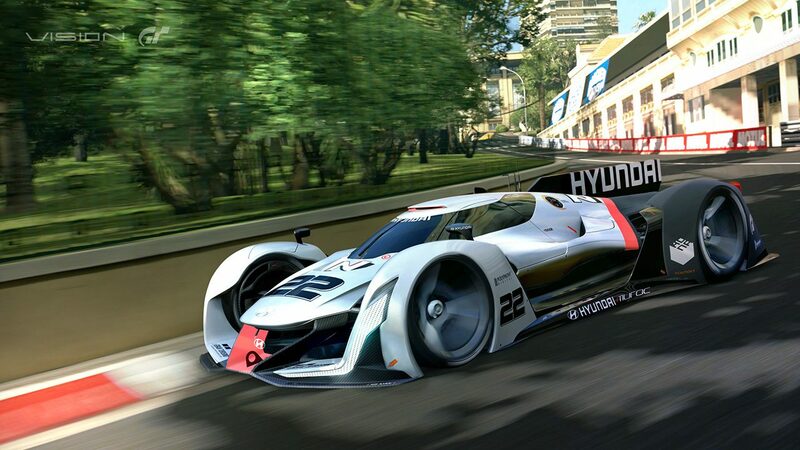 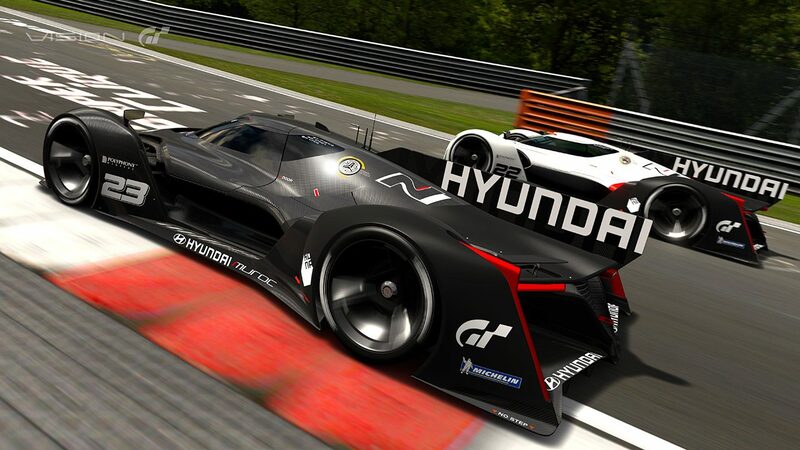 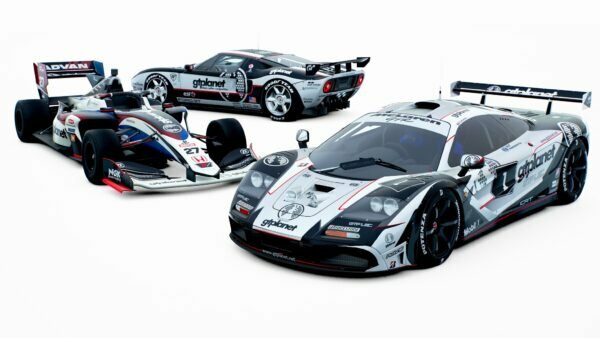 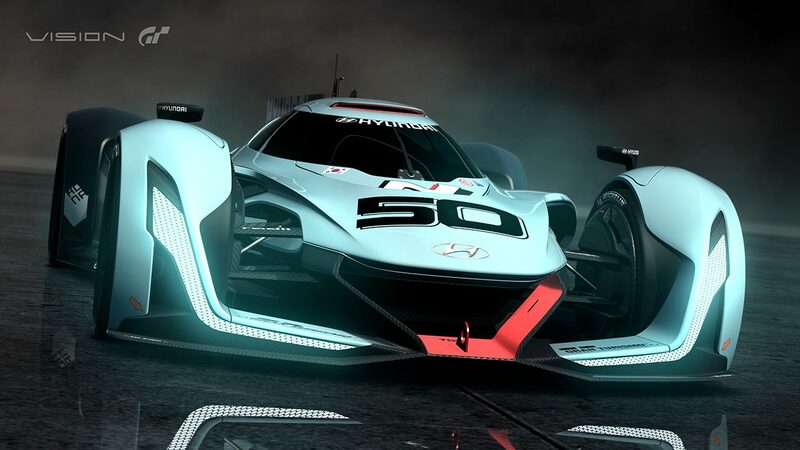 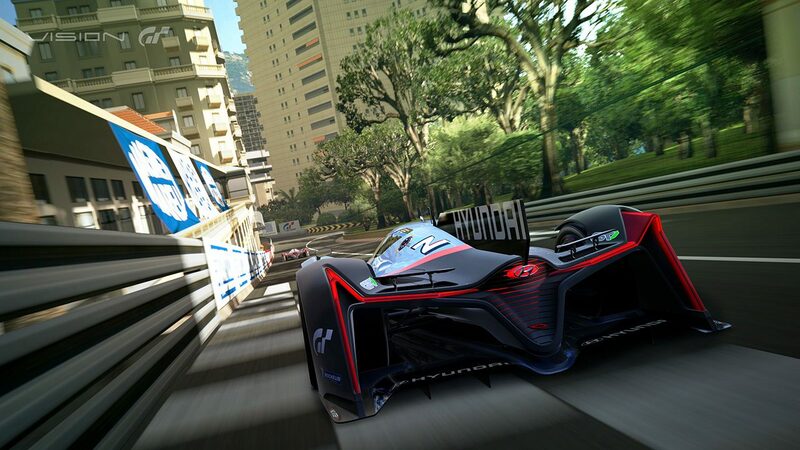 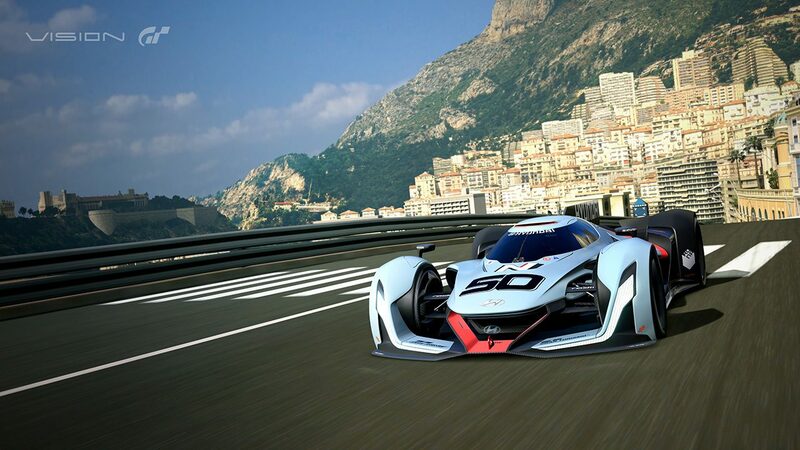 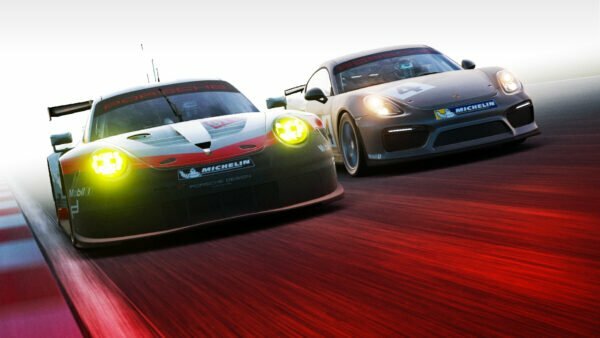 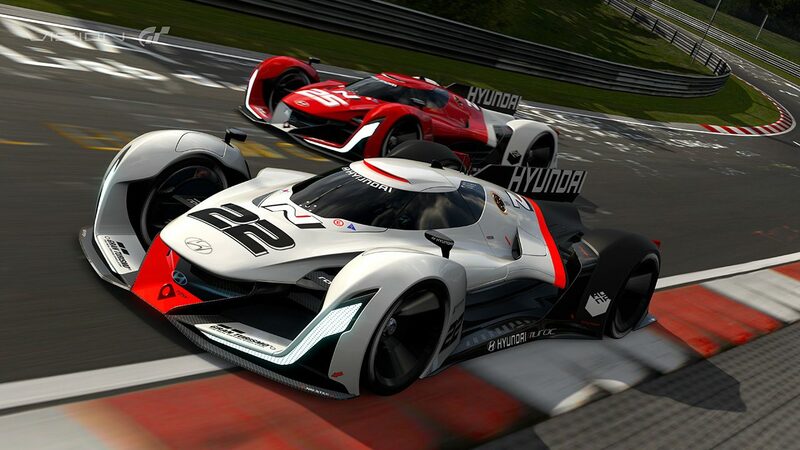 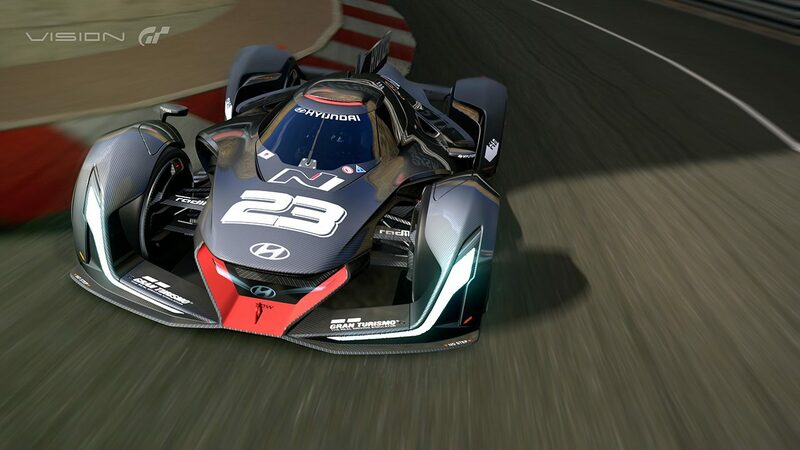 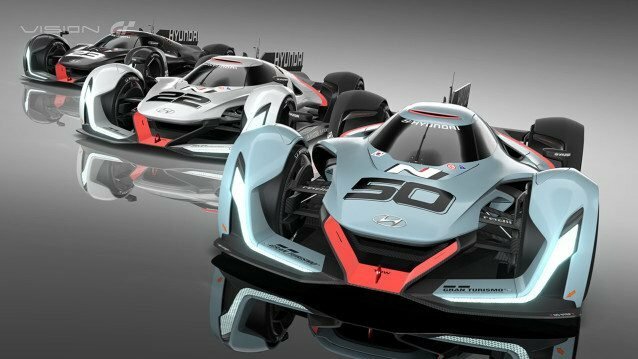 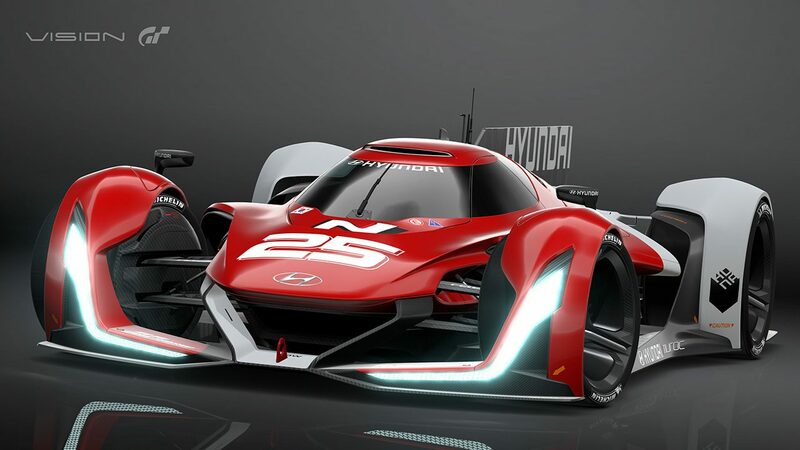 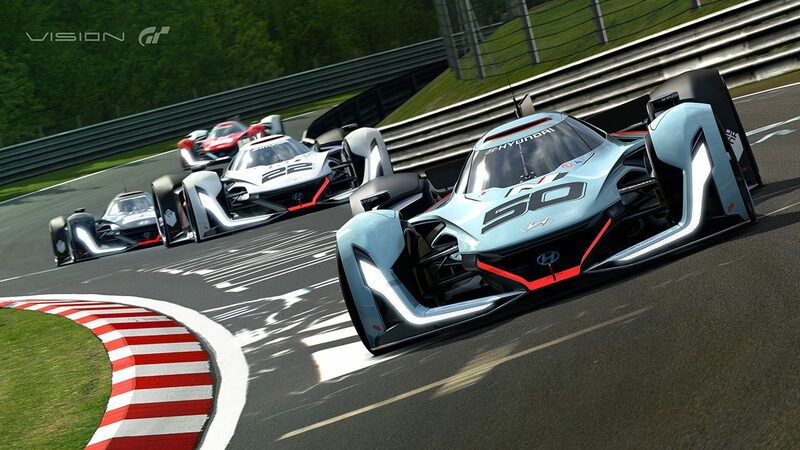 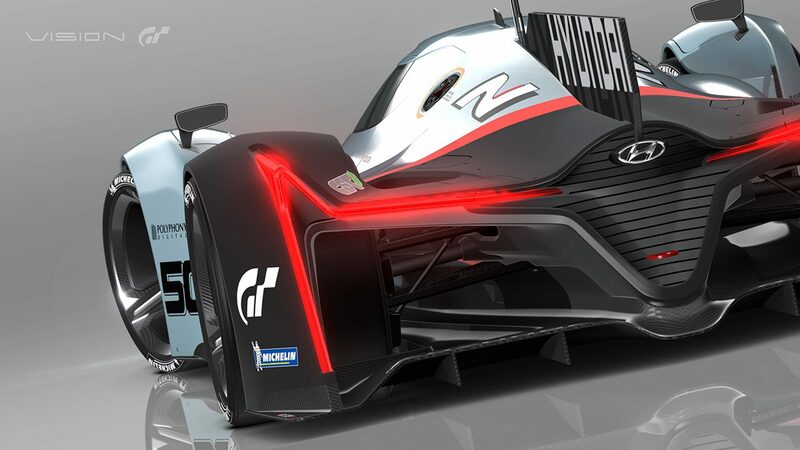 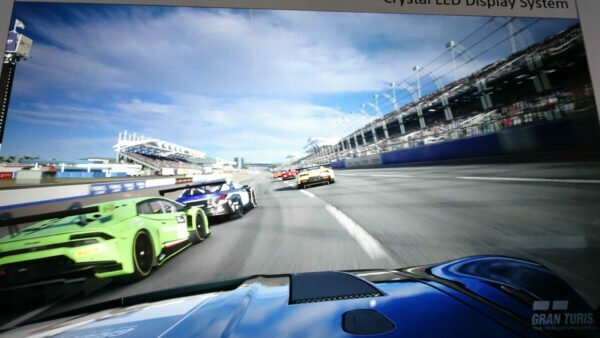 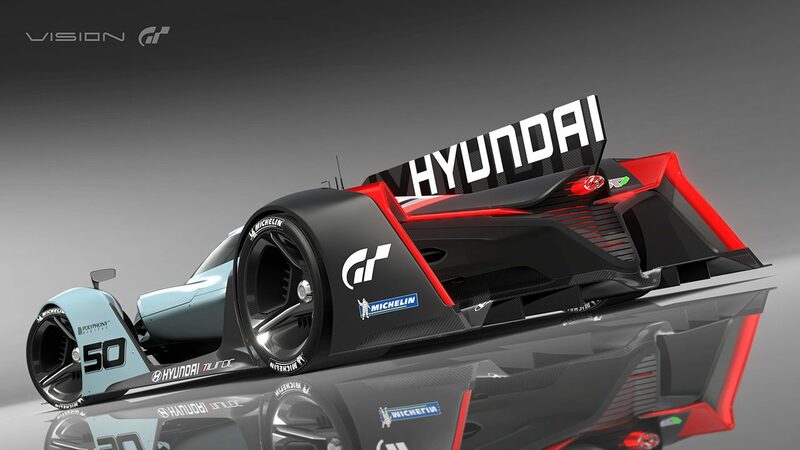 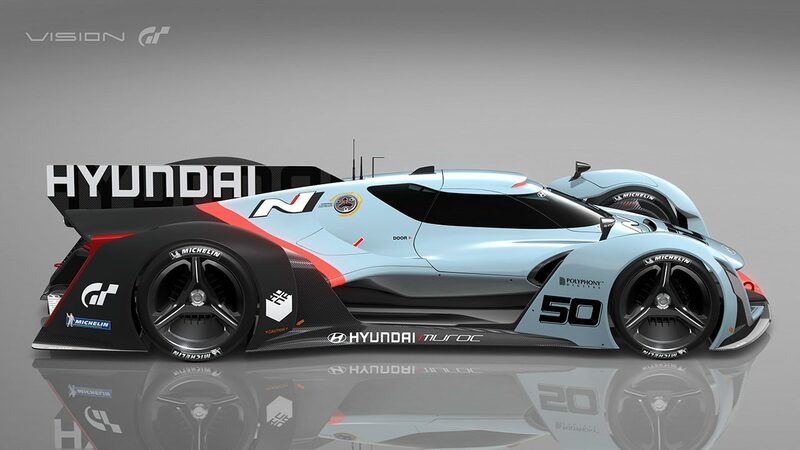 The extreme picture dump from Hyundai and Polyphony Digital shows four available liveries for the N2025, each with a different race number, so there’ll be some choice for gamers when the car comes to Gran Turismo. 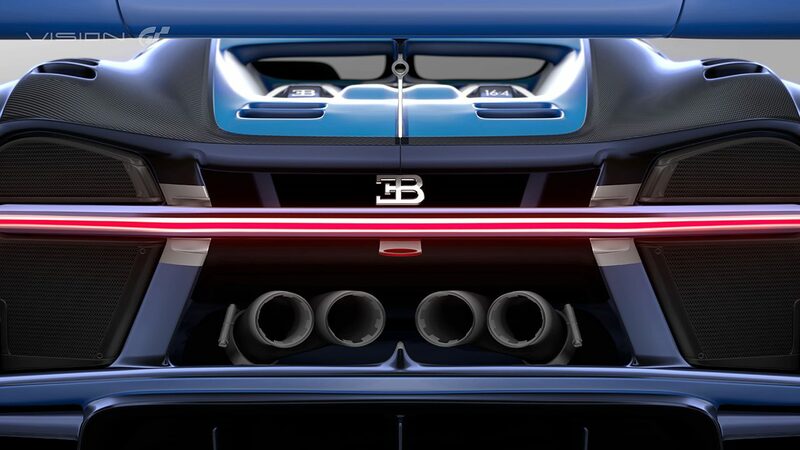 There’s also some new images in addition to yesterday’s Bugatti image set that reveals a wide range of available colours in addition to the traditional French blue colour scheme. 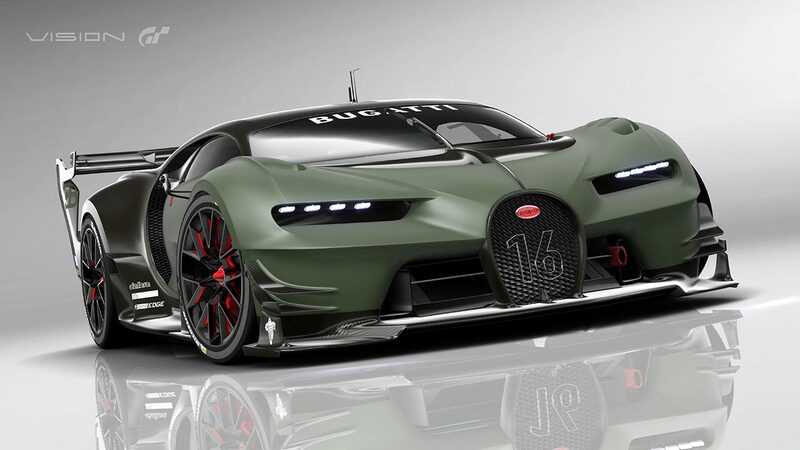 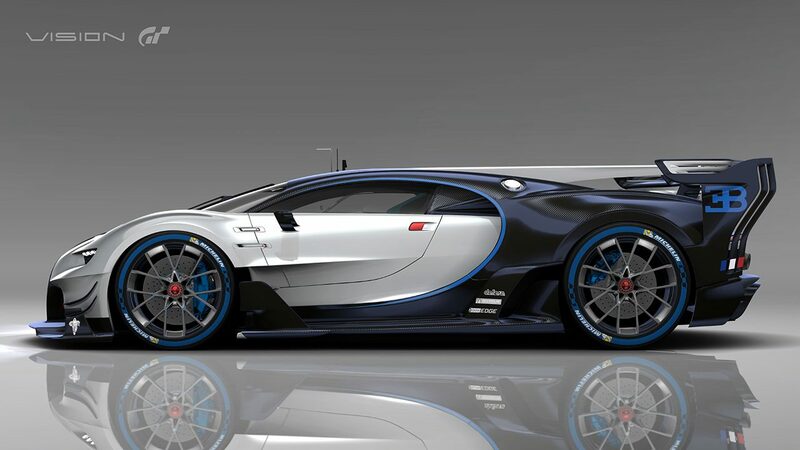 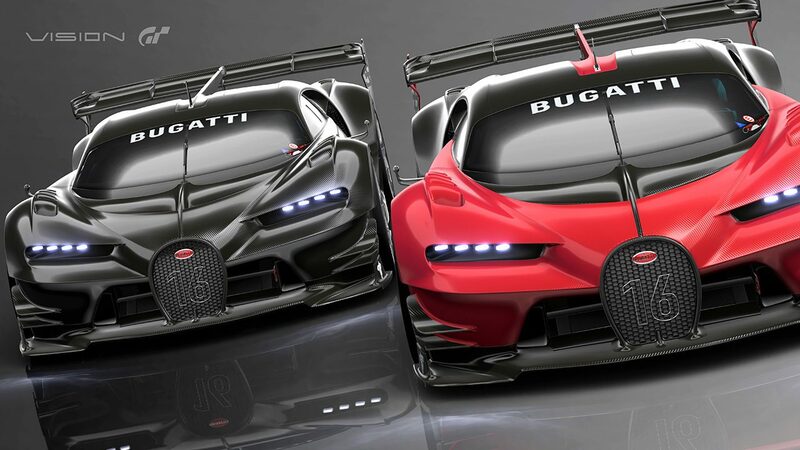 This is probably very little surprise as the Veyron in Gran Turismo 6 has one of the widest palette ranges of any car, but we count six further colour schemes revealed so far. 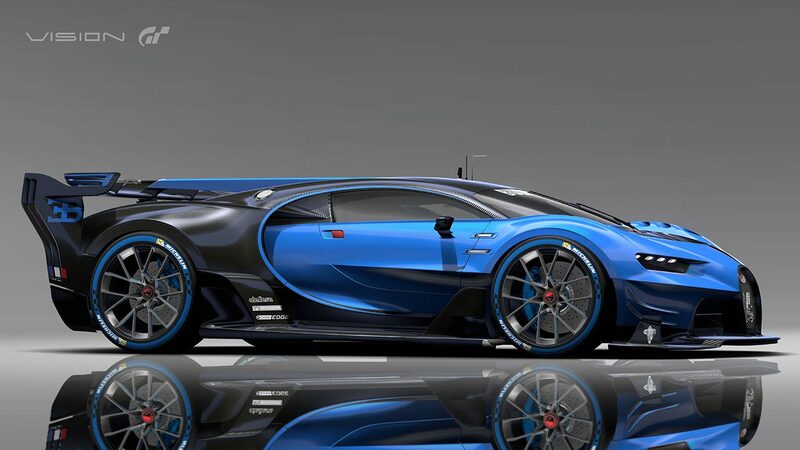 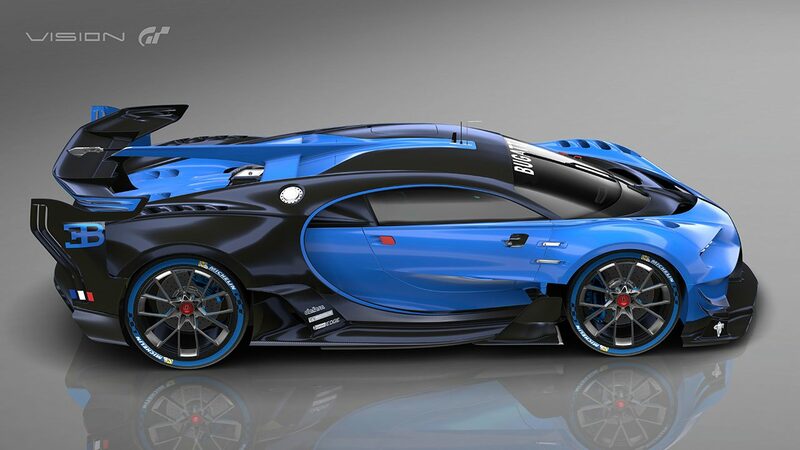 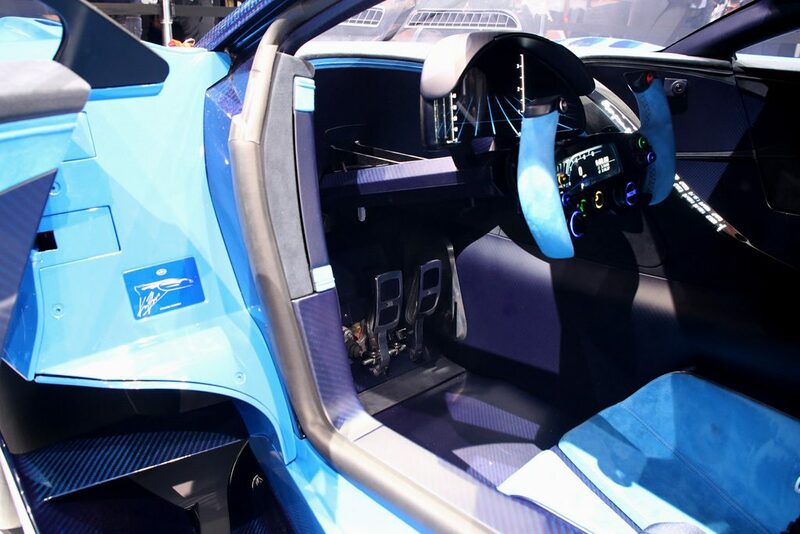 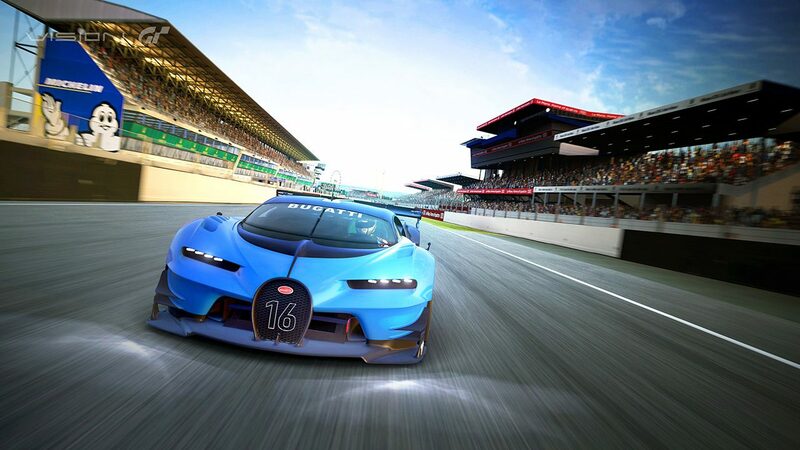 More interesting is the video trailer for the car, which appears to show two rather excited gentlemen settling down to play with the Bugatti on a Playstation 4, complete with Logitech G29 steering wheel and a Dualshock 4 controller. 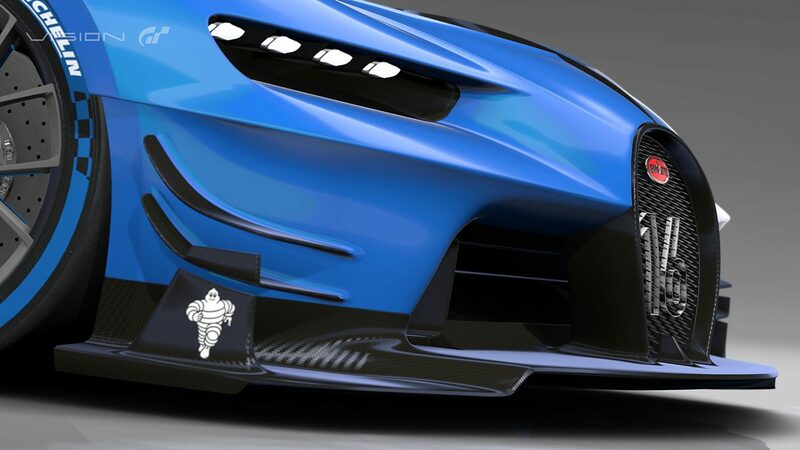 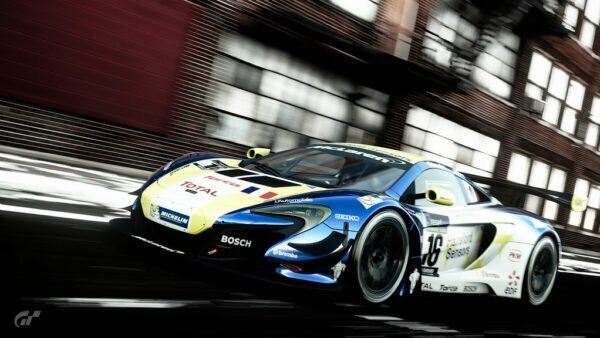 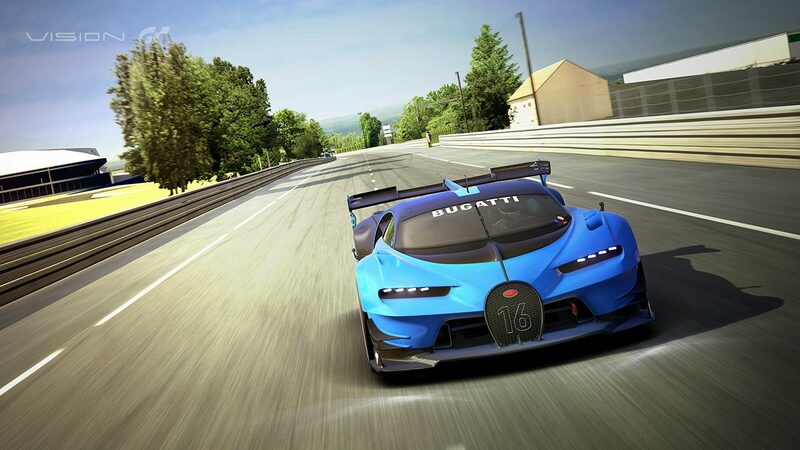 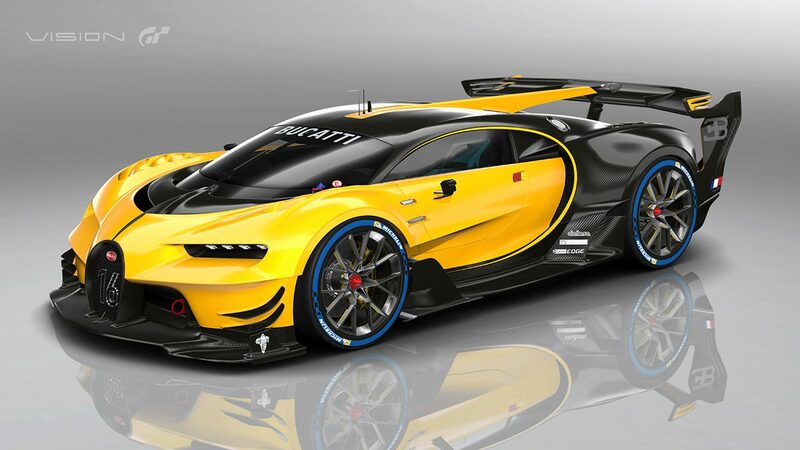 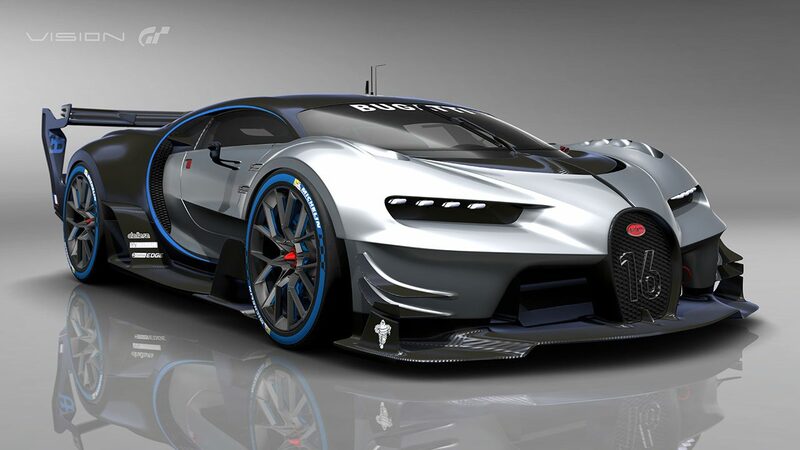 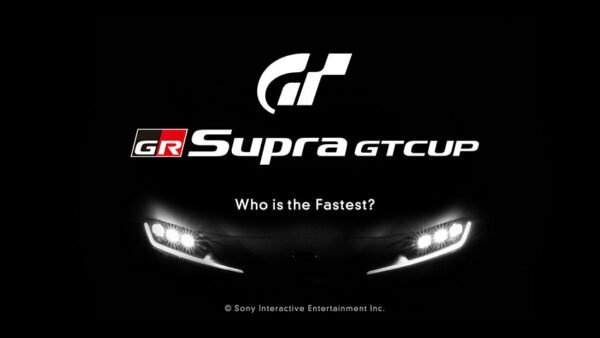 No doubt this is just a minor marketing oversight on behalf of Bugatti, but as we enter the Tokyo Game Show week, it’s a detail that might set tongues wagging about the future of Gran Turismo! 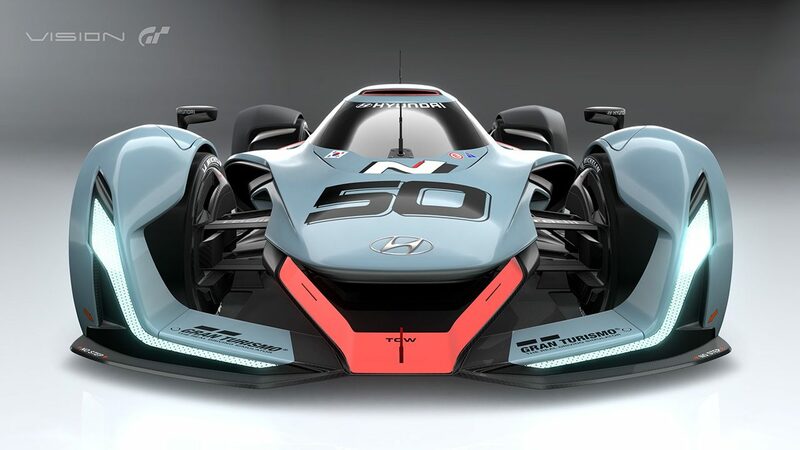 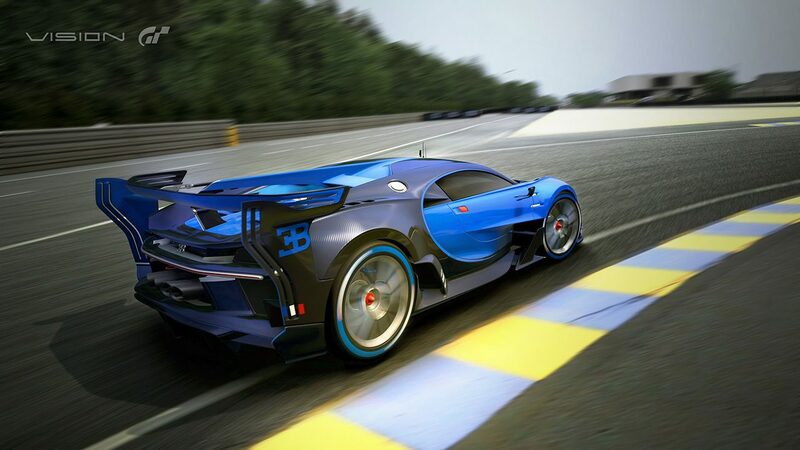 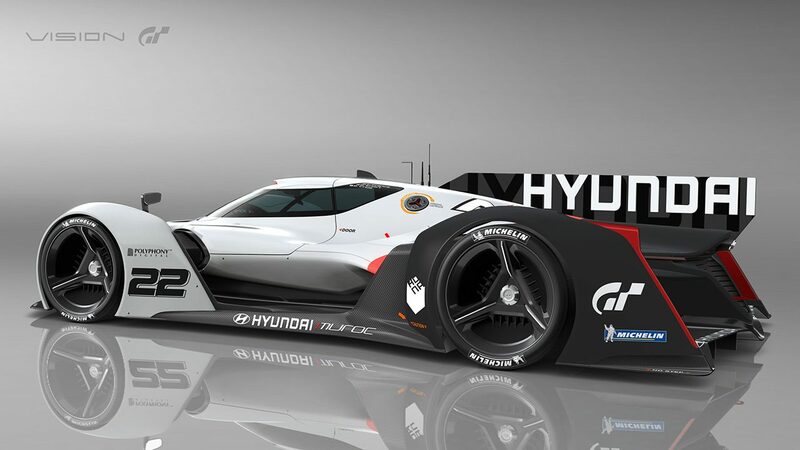 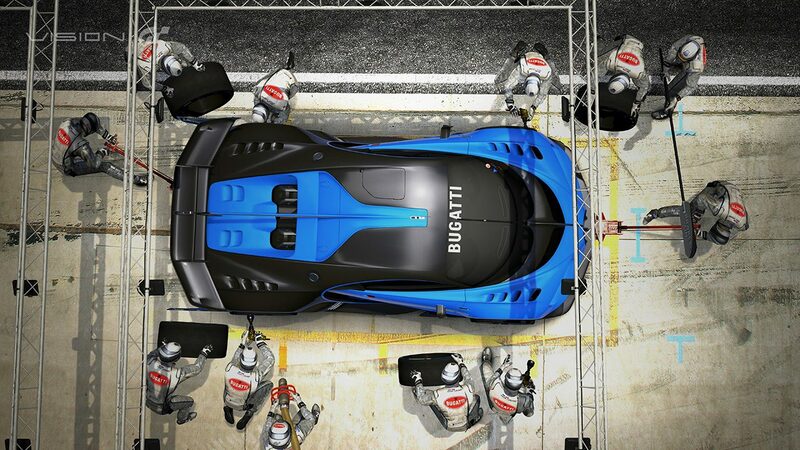 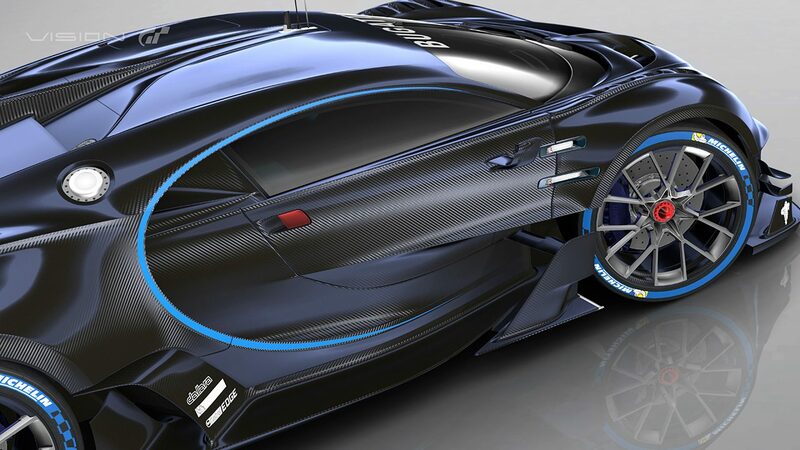 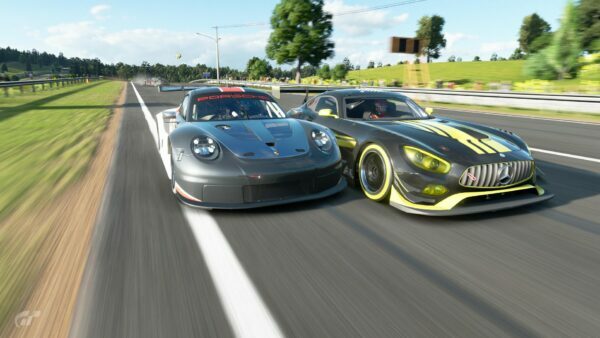 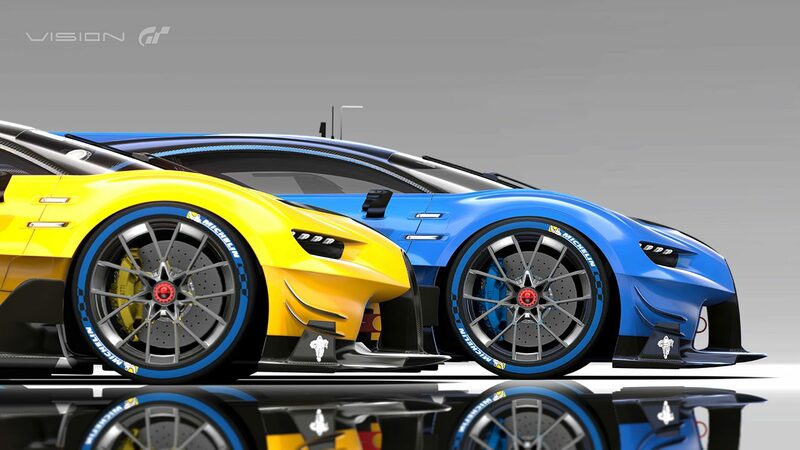 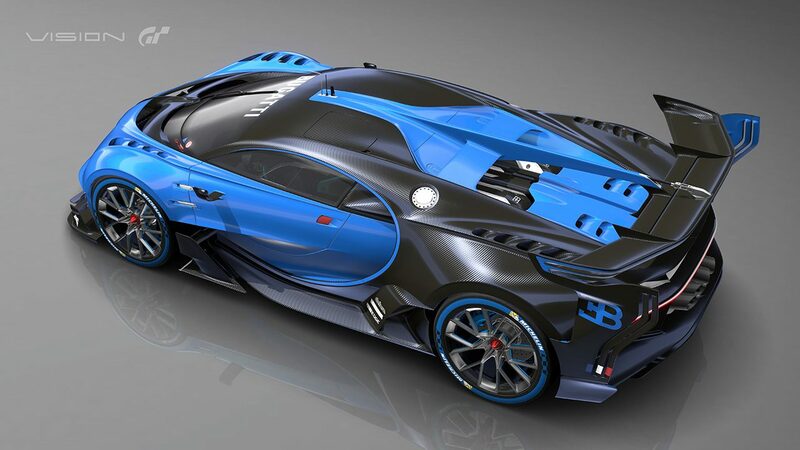 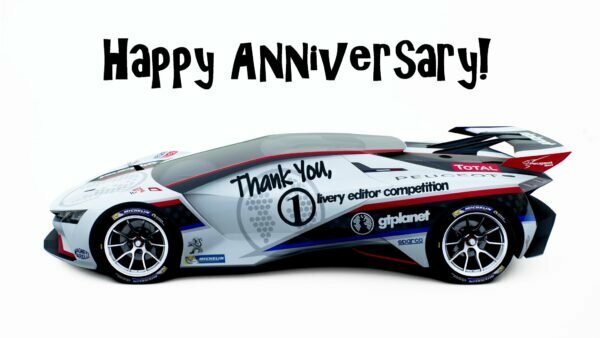 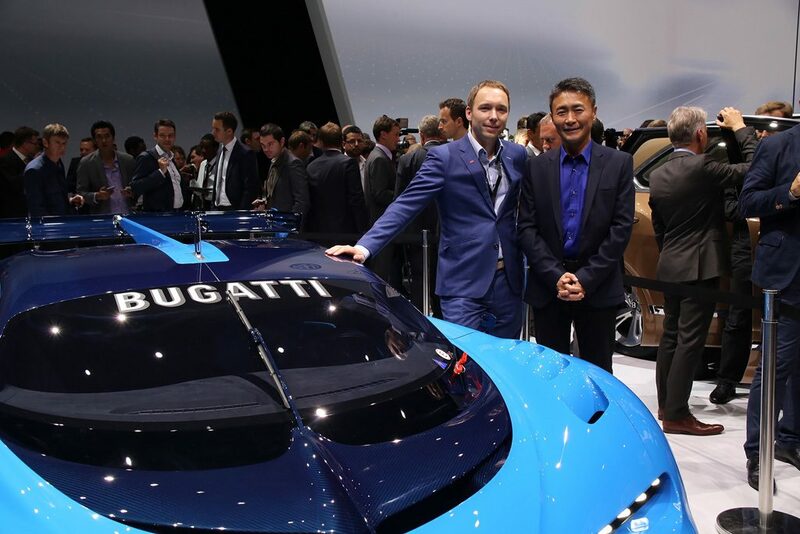 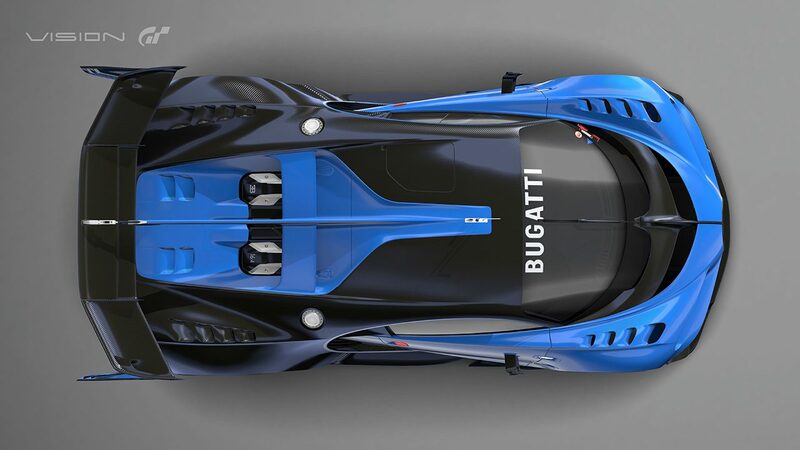 While we’re waiting to get our hands on both cars, there’s a massive selection of pictures to enjoy and you can join in the discussion on both the Bugatti and Hyundai Vision GT cars on our forums.